Let us accompany you on a tour of your preferred Spanish wedding venues and enjoy our guide to the best locations Spain has to offer. We have perfected a stress-free wedding planning process with nearly 1,000 happy bridal couples, so you can sit back and enjoy the build up to your big day. Over 17 years knowledge and experience of seamless wedding planning in Spain, working alongside the best providers and venues. Welcome to Sunshine Weddings Spain – leading wedding planners for the south of Spain and Mallorca. For 17 years we have specialised in finding your perfect wedding venue, alongside planning every last detail of our couples’ special day. Our dedicated planners are always on-hand to guide, advise, support and help you make the most important day of their life truly unforgettable. 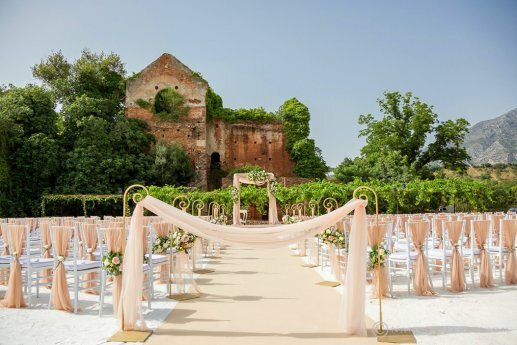 Planning a wedding or big event is stressful enough – but it can be nigh-on impossible if you’re attempting to do it from a different country. Wedding planning also takes a lot of time, know-how and experience. Luckily we, at Sunshine Weddings Spain, have organised almost a thousand weddings and parties in Andalucia and Mallorca. Not only do we know the locations inside out – but we also know what works and what doesn’t. Don’t worry, our teams speak a lot of different languages! 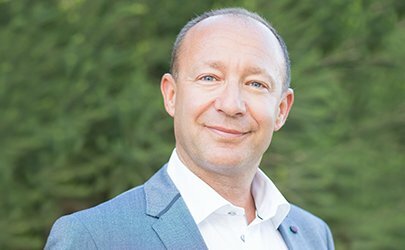 We only work with the best venues, caterers, cake makers, florists, dressmakers and entertainers on the Costa del Sol and Mallorca; but unfortunately some don’t speak English, making it difficult for our couples to go to them direct. When planning a wedding, you need to know that your suppliers understand what you need. When you work with a wedding planner you only have to describe your dream day ONCE, and you can trust that they will liaise with the most appropriate suppliers to make that dream a reality. Let us communicate, plan the timings and schedules, tie up loose ends and finalise legalities – that’s not the fun stuff after all. Even if you do speak the same language, the joy of working with a wedding planner means that you are assured of the best quality. Have you worked with your chosen wedding supplier before? Can you trust that the venue is of the highest quality? Are you sure everyone understands what you need? With us, you can. But I already know where I want to get married, why do I need you? You may well know what kind of wedding you want, but do you know whether the venue you have in mind even exists? We do. 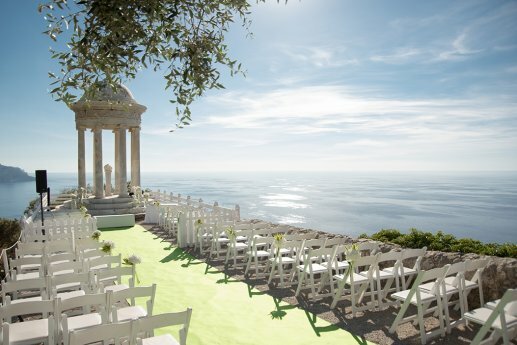 We have decades of experience in hosting parties and weddings in the most exclusive, unique and unforgettable wedding venues in Mallorca as well as Malaga, Marbella, Nerja and all over the Costa del Sol. From beach bars to luxury hotels, private villas to castles and country estates – we can find your perfect, unforgettable wedding location. Also, what a lot of couples don’t realise, is that some of these hidden gems either don’t have a website, can be difficult to contact, or offer us special rates. Why risk settling for an okay wedding venue, when we’re privy to the very best? I want to use my own caterers/ musicians/ florists. Is that allowed? Of course! We love getting to know new local suppliers. We’re also happy to work alongside your favourite people for your special day. We’ll even help you fly them over. Let us know who you have in mind and we’ll liaise with them as much or as little as you want. As for the suppliers in the south of Spain or Mallorca that you aren’t familiar with, how do you know you are going to be working with the right people?You don’t, but we do. We only want the very best for our clients, because who we work with not only reflects on us, but also affects your special day…and your day is all that matters to us. Because we don’t ask for any money up front, working with us is simple. Just fill in the form on our website, take a look at our venue guide (we have many other locations on our books, if you can’t see what you’re looking for) and get in touch. From there we will arrange a Skype/phone chat and you can tell one of our dedicated planners your specific ideas for your special day. Then, if you’re still excited about working with Sunshine Weddings Spain, we will start putting together your wedding. No stress. No fuss. No confusion. No problem. Getting married abroad should be fun and exciting…so leave the hard work to us and let’s start making your wedding vision a reality. We wanted to place on record our profound thanks to Sunshine Weddings; particularly Scott and Raquel who were so helpful, practical and calm as we got close to D Day. You guys have all been brilliant and although it is a cliche to say we really could not have done it without you. I would not have had the wedding of my dreams without Scott, my Pam and the team. Having Pam as my bestie during the process made everything so easy. I am eternally grateful ! I want to also thank our suppliers. Karen at Desoes florists- you literally got my vibe 100% and made my dreams in to reality. You just got want I wanted and it was amazing. Our purple orchids were just divine and my chuppah was magical. Liza Mayne. You are a superstar. My make up was amazing! Louise Hill. I loved my hair so much. Thank you for everything. Club Live. You are pure party starters !! UNBELIEVABLE !!! The day could not be better and gone any smoother. The feedback we got from the guests was fantastic. Myself and Jagoda were very happy and could not thank Sonya enough . Tikitano did an amazing set up and staff were on the ball the whole time. Thank you to Nieves and Gillian for everything they have done. We are extremely grateful. It’s a day we will never forget! Thank you to you Scott for making our Wedding day and special as it was.